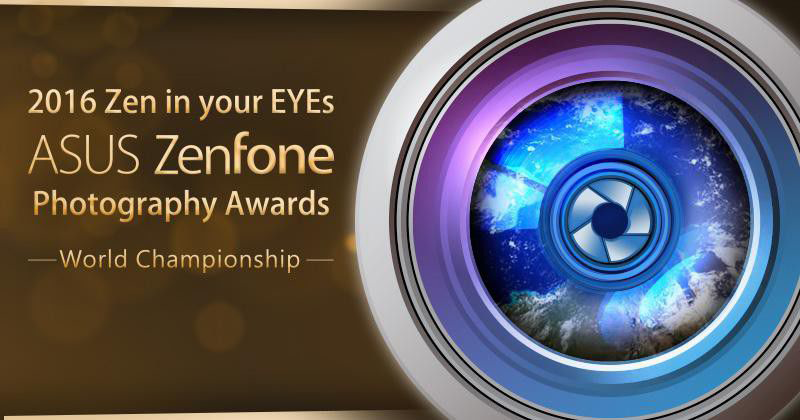 Asus Zen In Your EYEs Photography Contest Announced, Asus ZenFone 3 And Cash Prizes At Stake! Home / asus / mobile / news / Asus Zen In Your EYEs Photography Contest Announced, Asus ZenFone 3 And Cash Prizes At Stake! Asus wants to unleash the photographer in you. 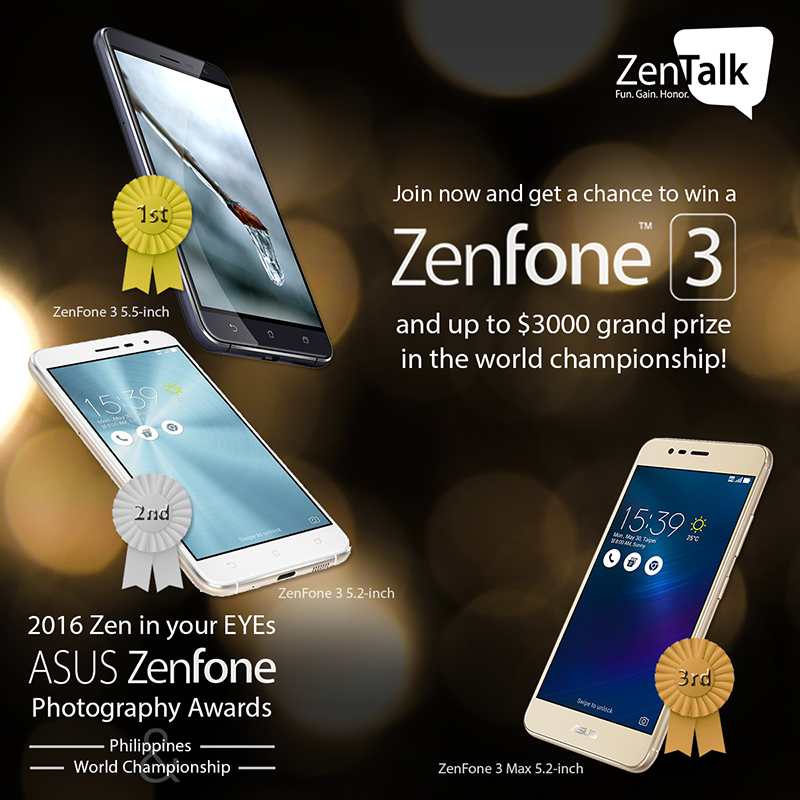 That's why they are proud to announce their new and exciting photography contest called "Asus Zen in your EYEs". In that photography contest, participants will get a chance to win the the good shooting ZenFone 3 series (for entries using any ZenFone model), up to USD 3000 and a 5 days and 4 nights stay at San Diego, California where they'll be able to visit the Qualcomm Snapdragon HQ. 2. Post your entries in ZenPhoto forum under the thread Type "2016 Photography Awards"
3. Title should start with "Zen in your EYEs" then fill in your subject after. All attendees should use Asus ZenFone, PadFone, FonePad series mobile products. Only one photography work can be submitted per post. Make sure to EXIF data when using third-party apps to edit your entry. The effects of built-in apps or 3rd party apps can be applied on photography work, but not including non-existing objects. Limit file size of 10 MB only. The contest participation period will happen starting July 12, 2016 and will end at October 10, 2016, 6:00 PM Philippine time. The winner will be announced on November 15, 2016.